Patagonia Elements has been safely running the Futaleufu River, (without an accident of any kind) for over ten years. Our by-lingual guides, are some of the most experienced on the Futaleufu with an average of 6 years experience on the Futaleufu. Following the highest industry standards(in the world), we employ safety catarafts and safety kayaks on every trip. This strong safety net insures errant swimmers are immediately rescued. Patagonia Elements uses the finest rafts with foot cups in the industry. 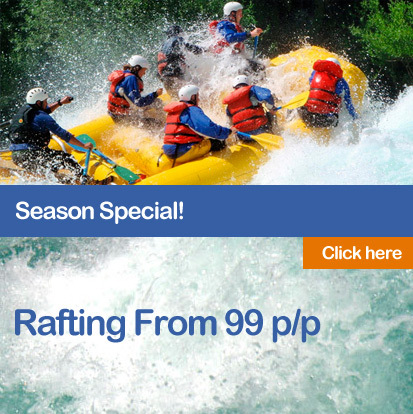 Built by “Sotar”, in Grants Pass, Oregon, these rafts were custom designed specifically for use on the Futaleufu. We strictly follow high water guide line cut offs measured on a series of river gauges along the river. If the water is too high for a departure and we have to cancel the trip, we will either refund the guest or give them a credit to come back the following day or when the water recedes to a safe level.